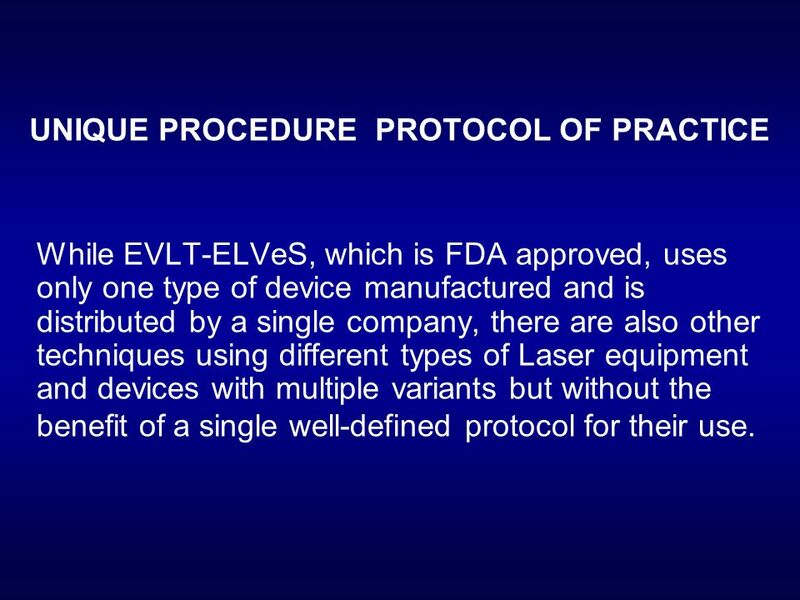 While EVLT-ELVeS, which is FDA approved, uses only one type of device manufactured and is distributed by a single company, there are also other techniques using different types of Laser equipment and devices with multiple variants but without the benefit of a single well-defined protocol for their use. 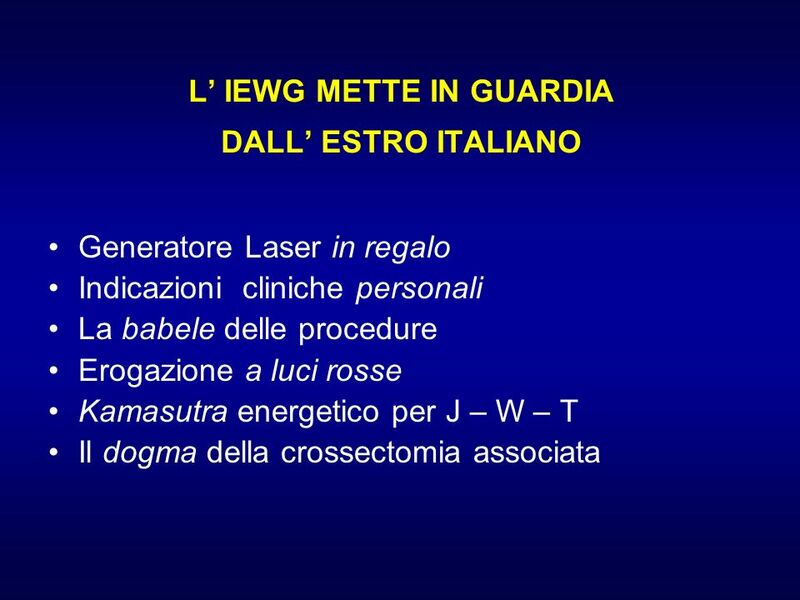 20 I.E.W.G. 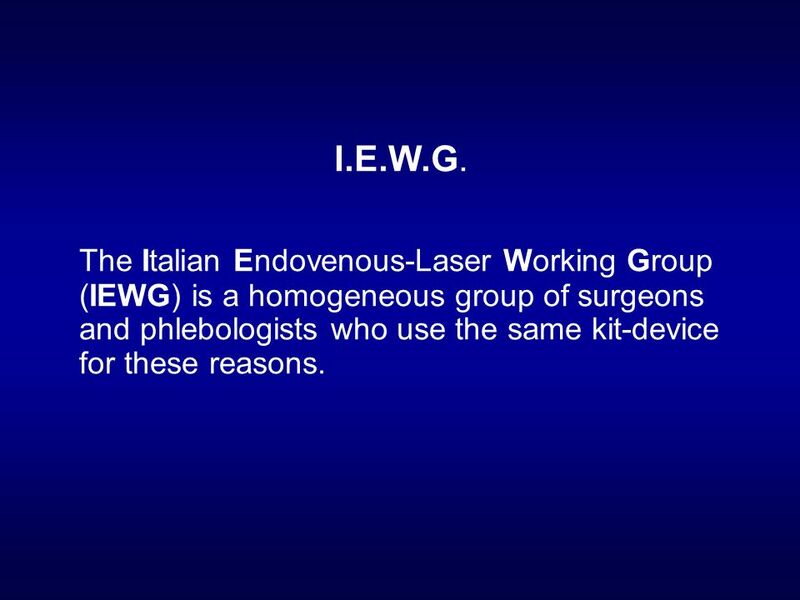 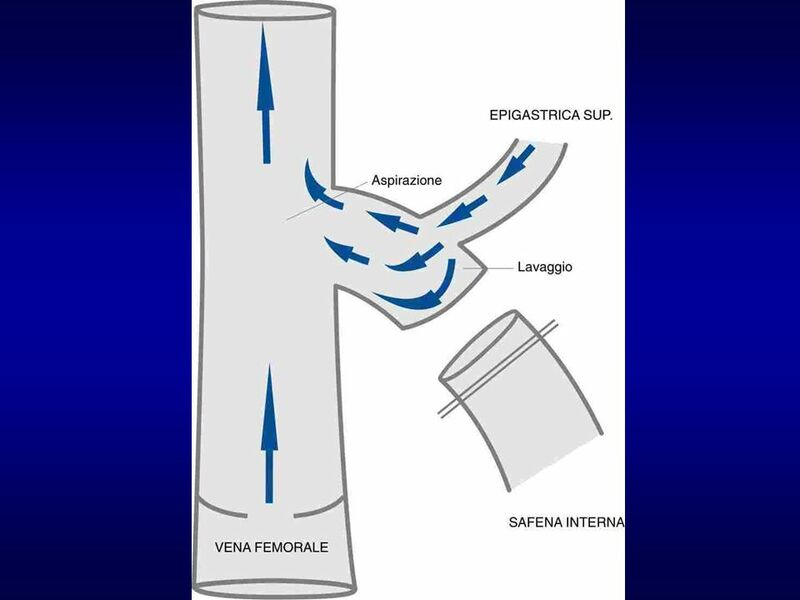 The Italian Endovenous-Laser Working Group (IEWG) is a homogeneous group of surgeons and phlebologists who use the same kit-device for these reasons. 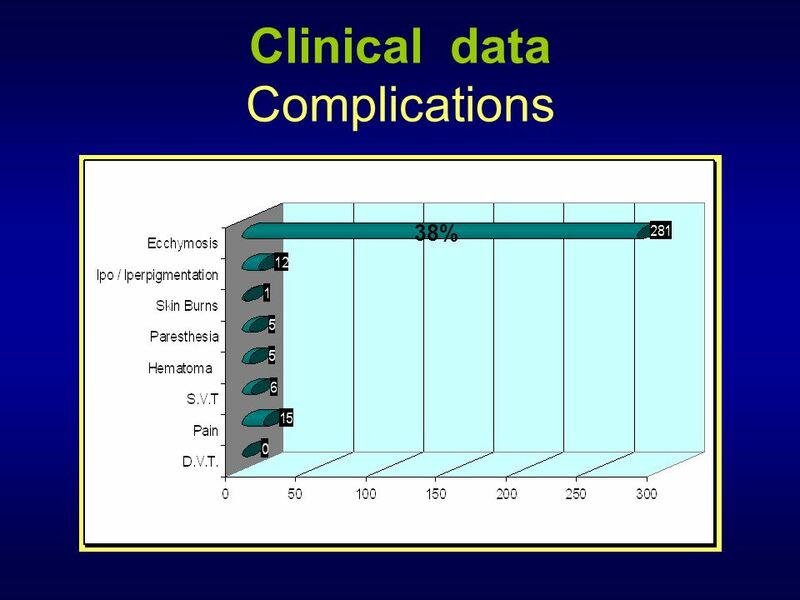 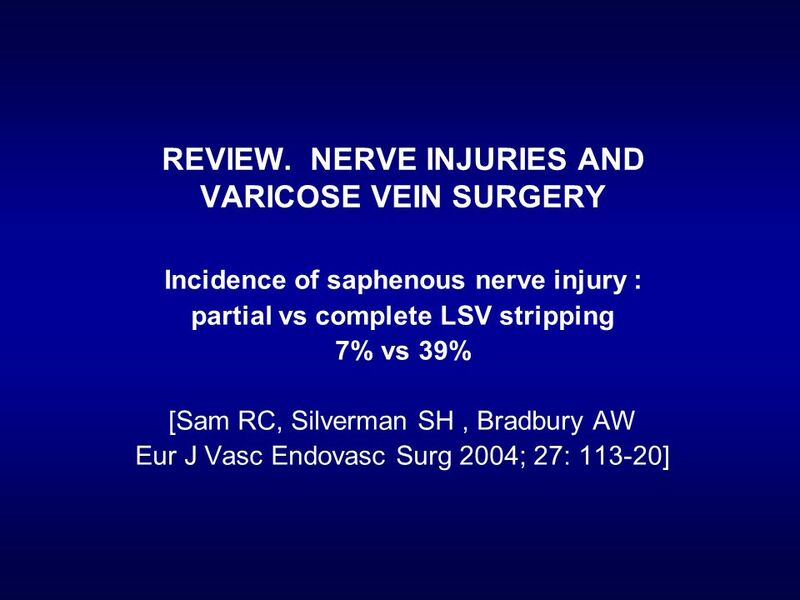 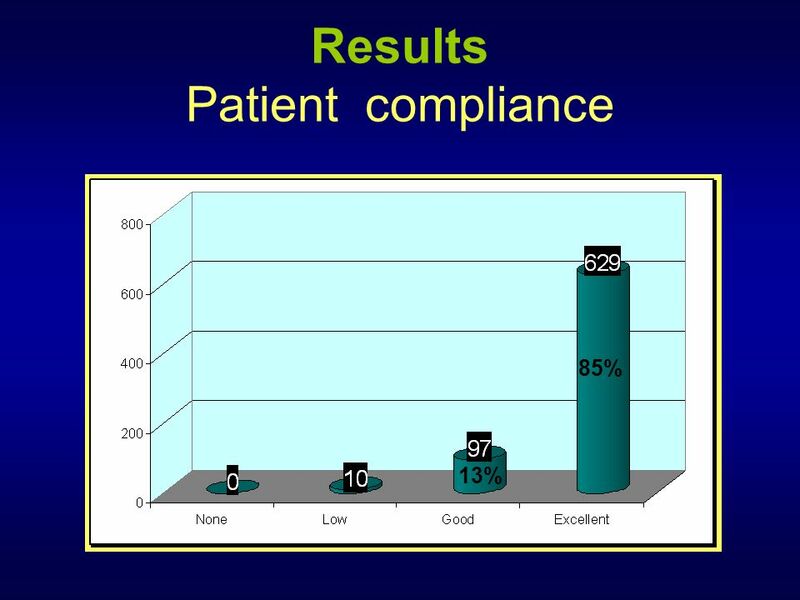 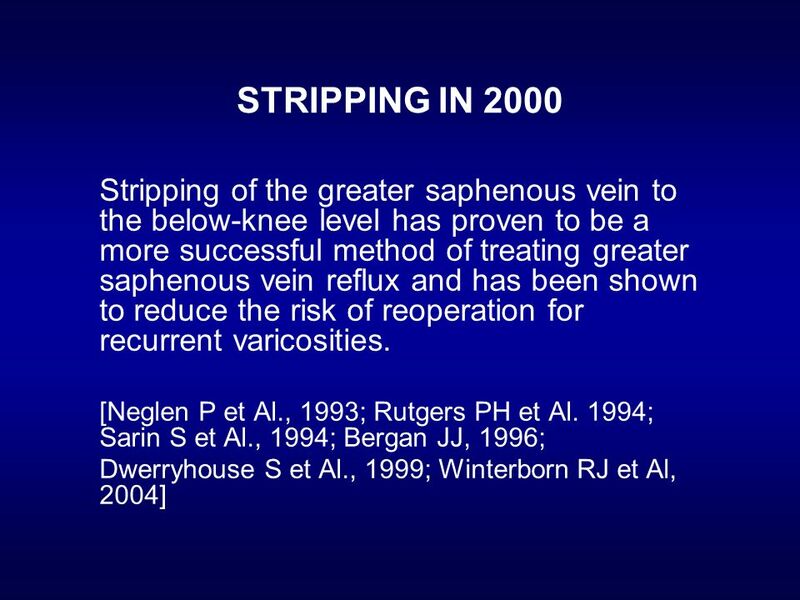 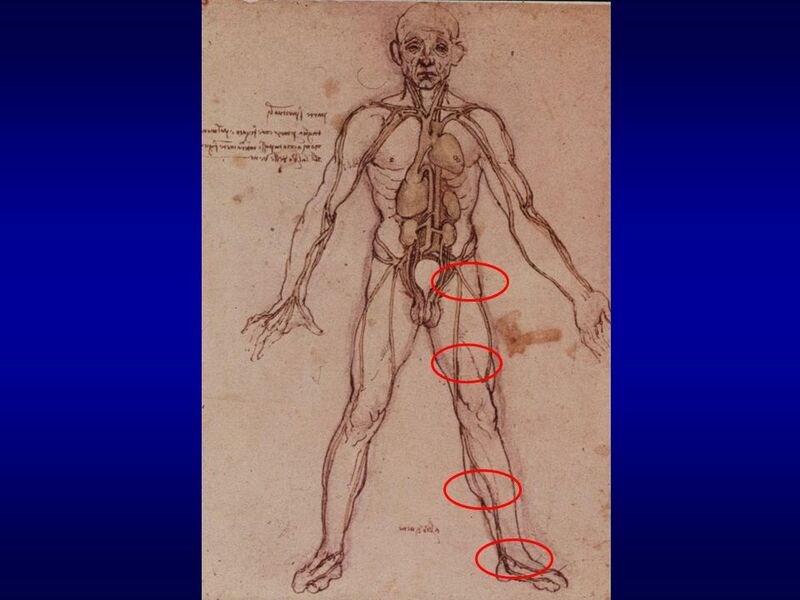 25 CLINICAL REMARKS Present evidence suggests that less saphenous veins should be treated. 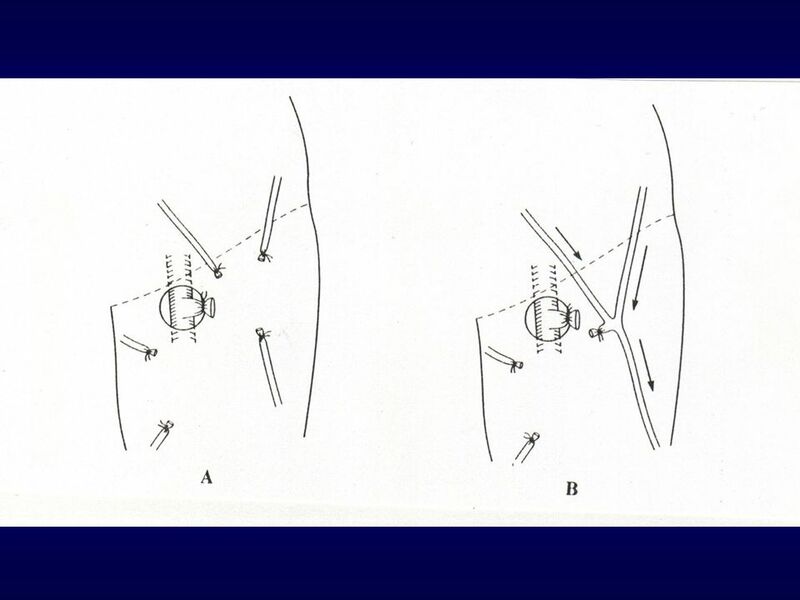 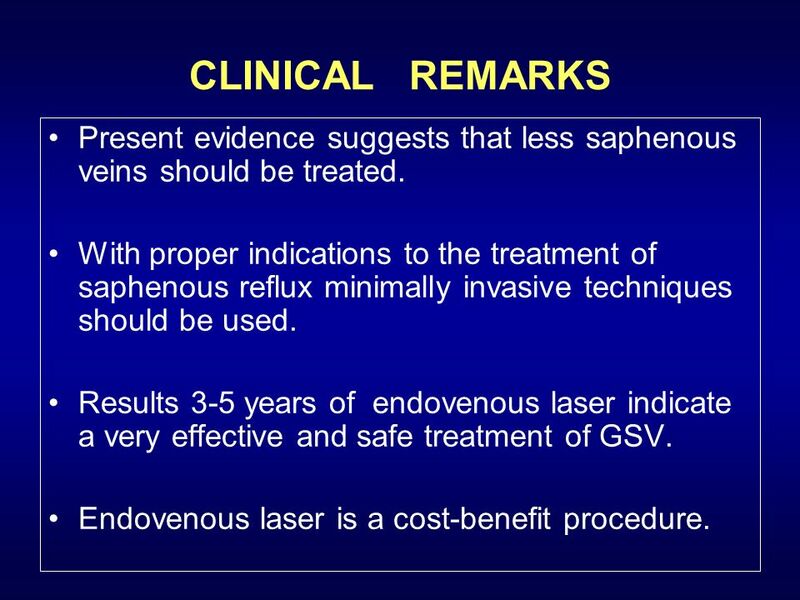 With proper indications to the treatment of saphenous reflux minimally invasive techniques should be used. 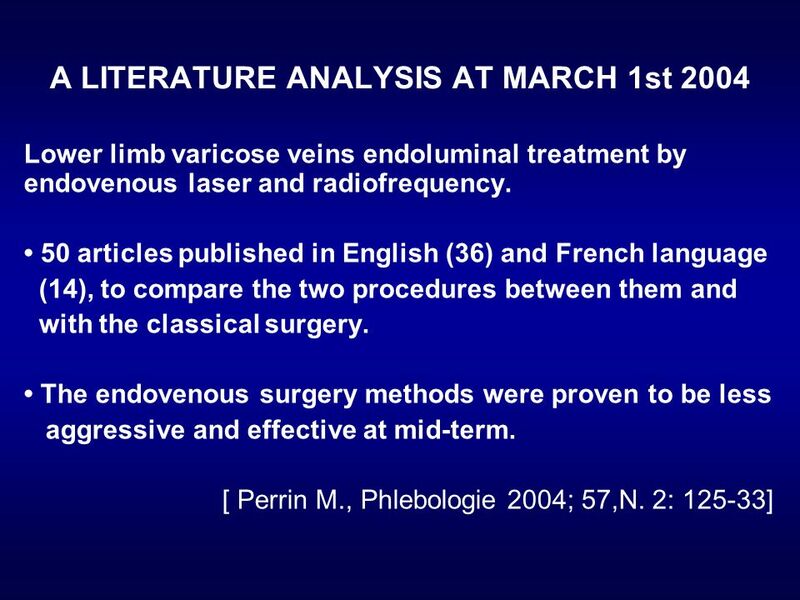 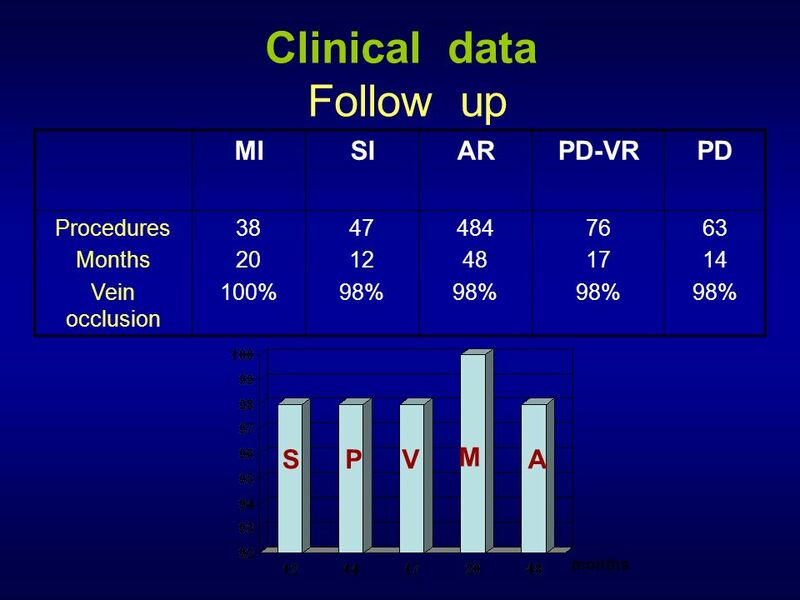 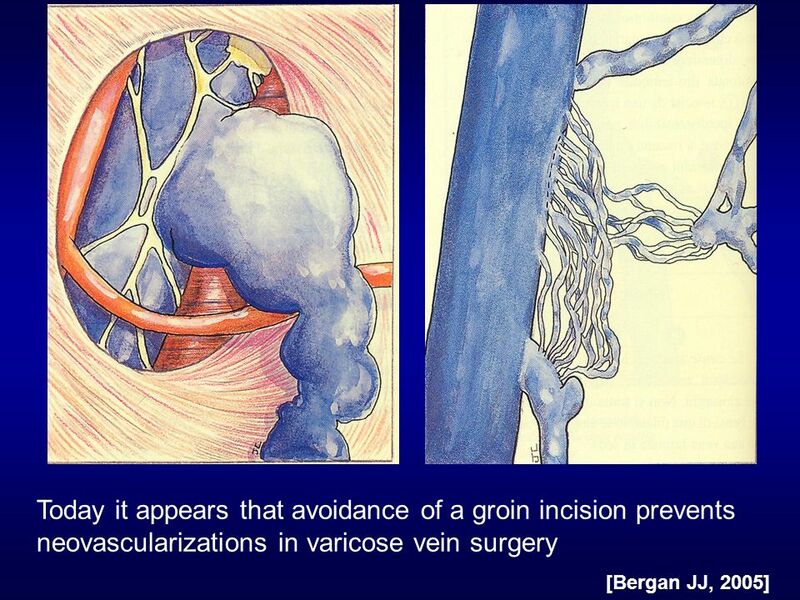 Results 3-5 years of endovenous laser indicate a very effective and safe treatment of GSV. 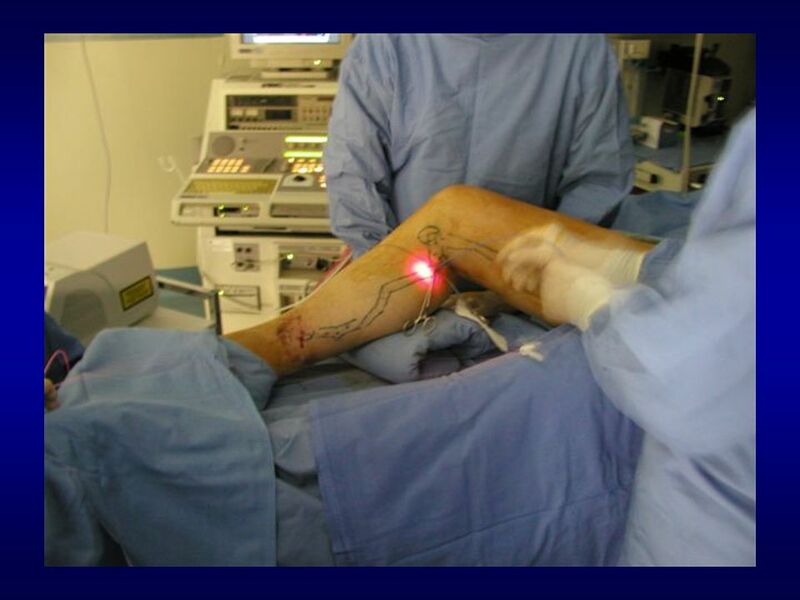 Endovenous laser is a cost-benefit procedure. 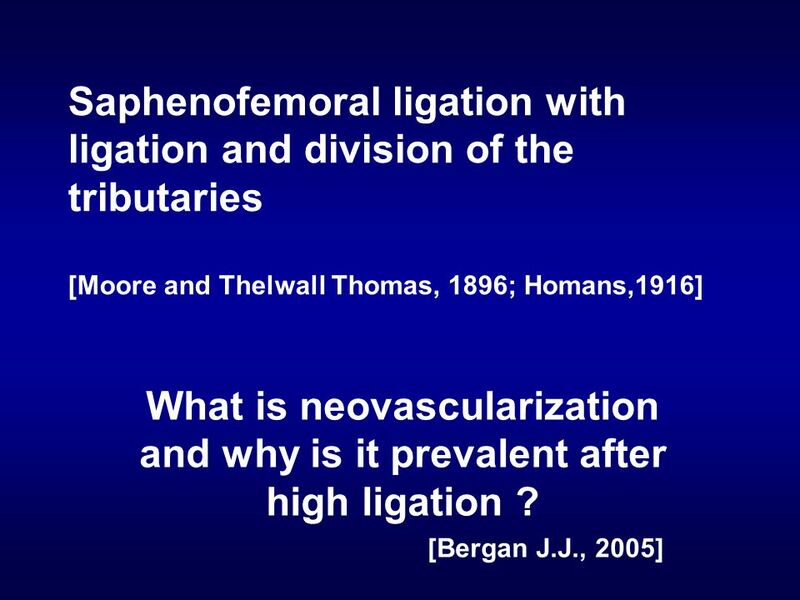 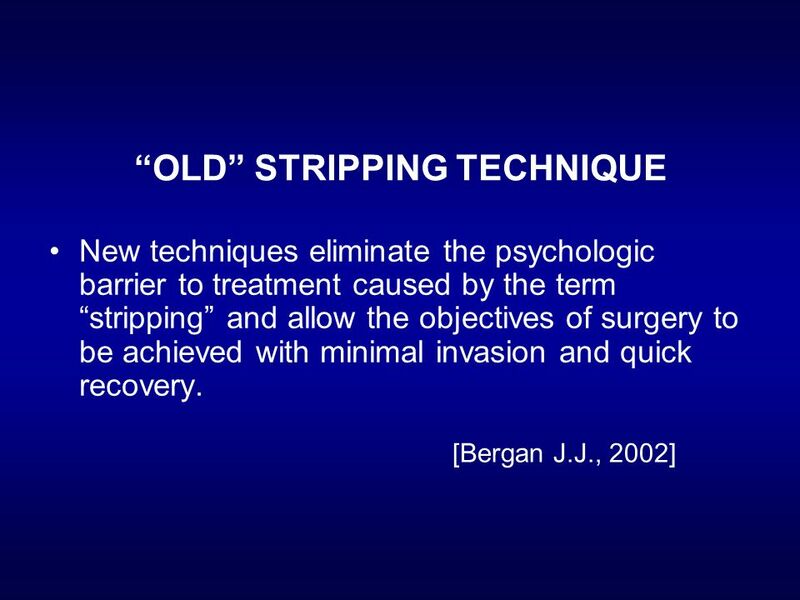 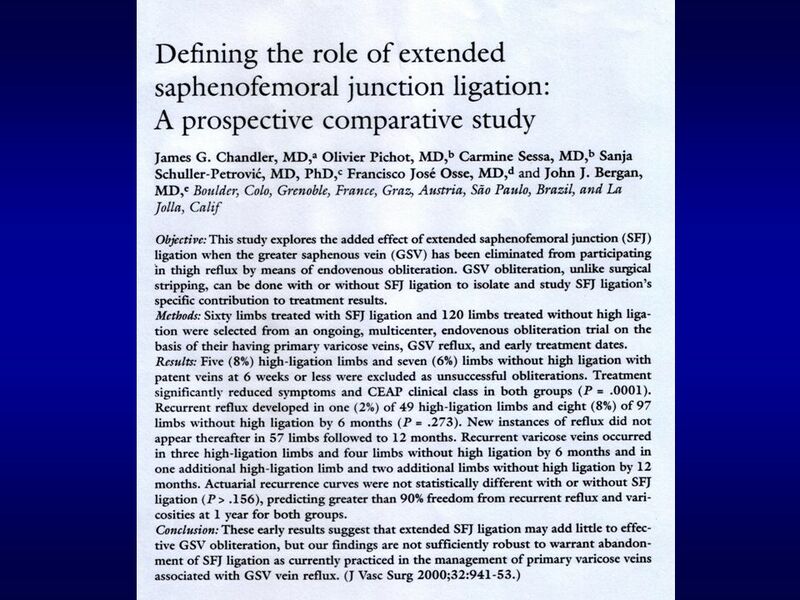 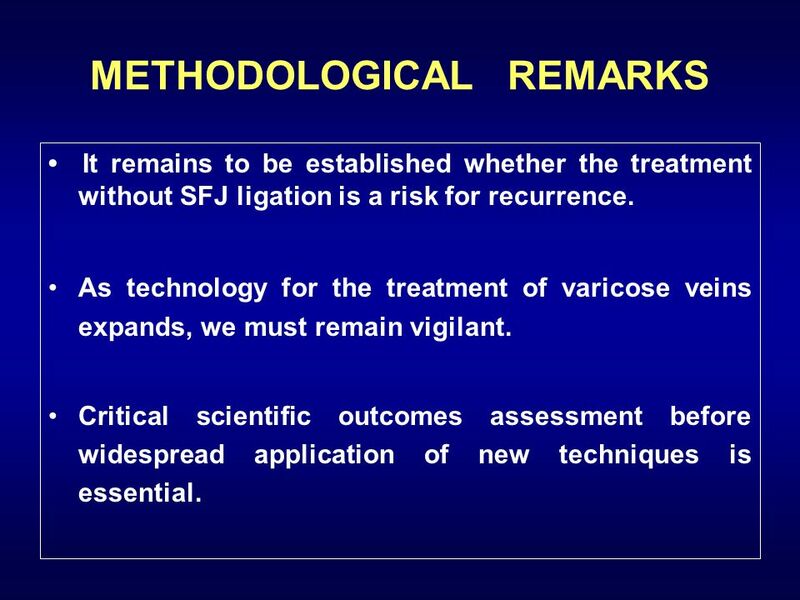 • It remains to be established whether the treatment without SFJ ligation is a risk for recurrence. 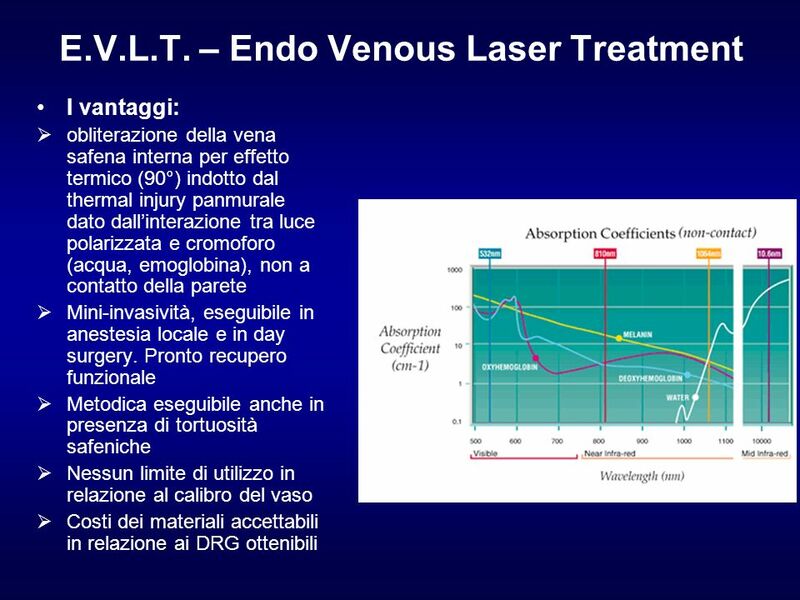 As technology for the treatment of varicose veins expands, we must remain vigilant. 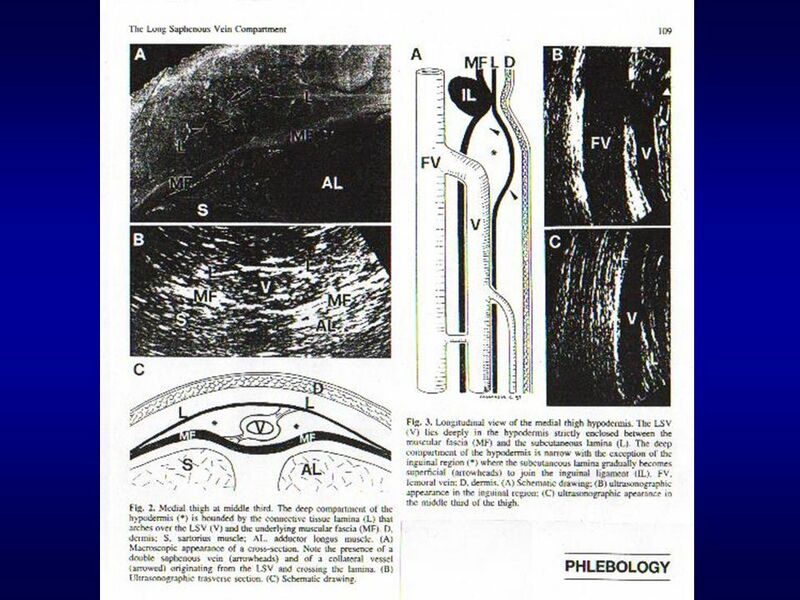 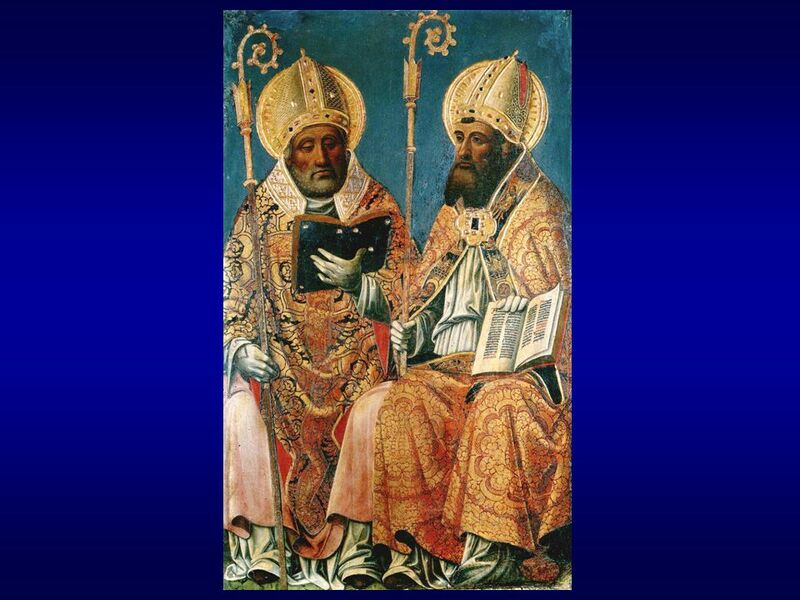 Critical scientific outcomes assessment before widespread application of new techniques is essential. 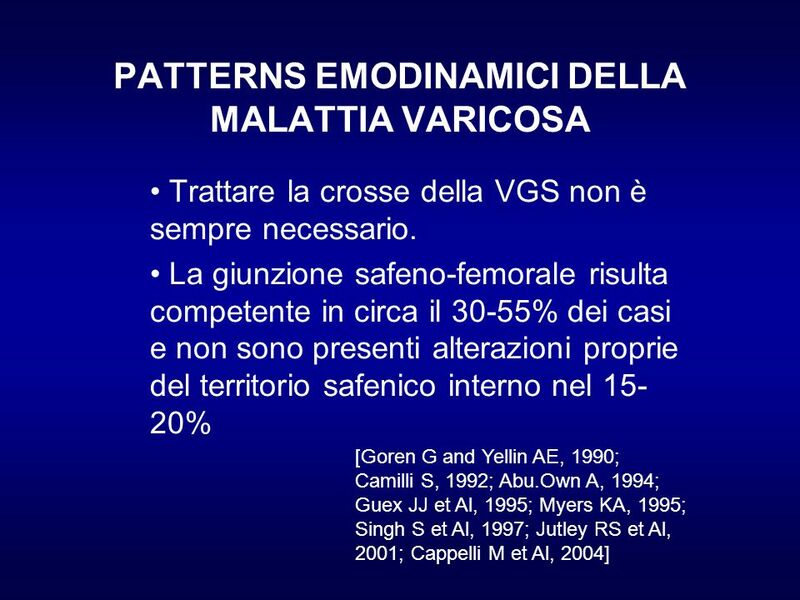 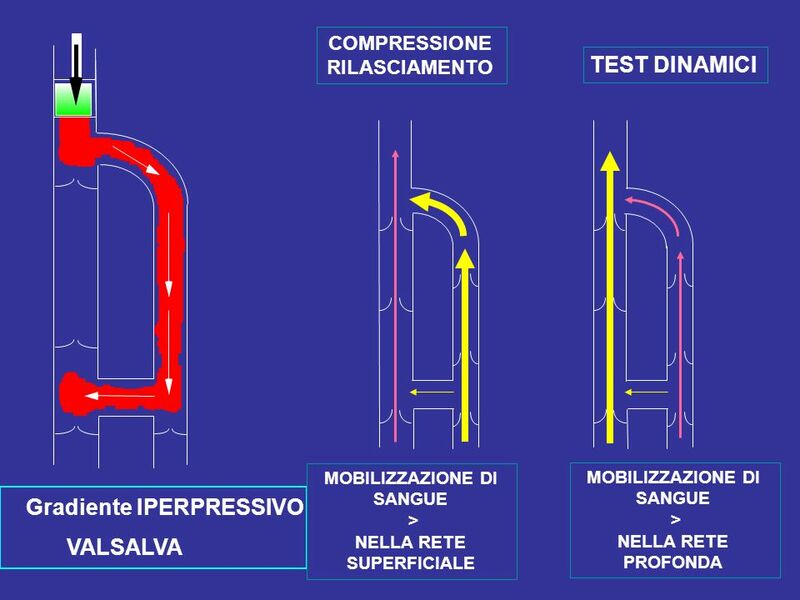 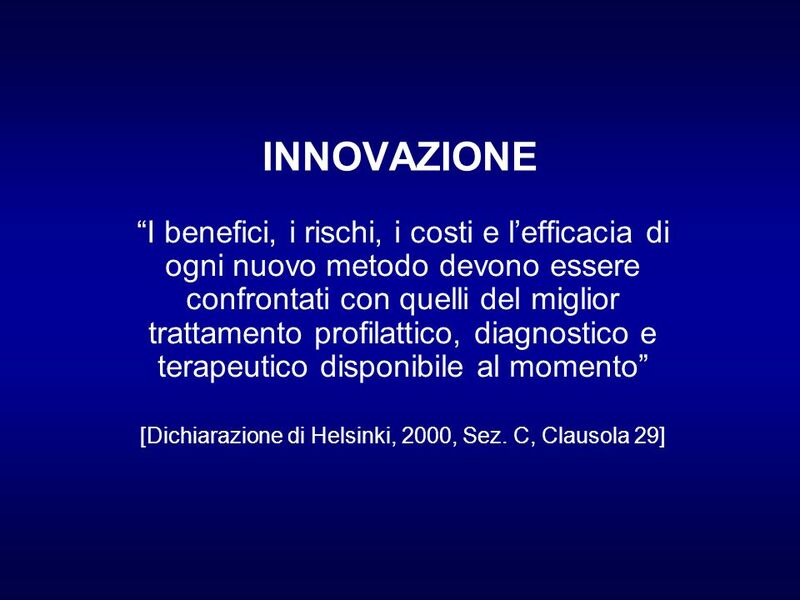 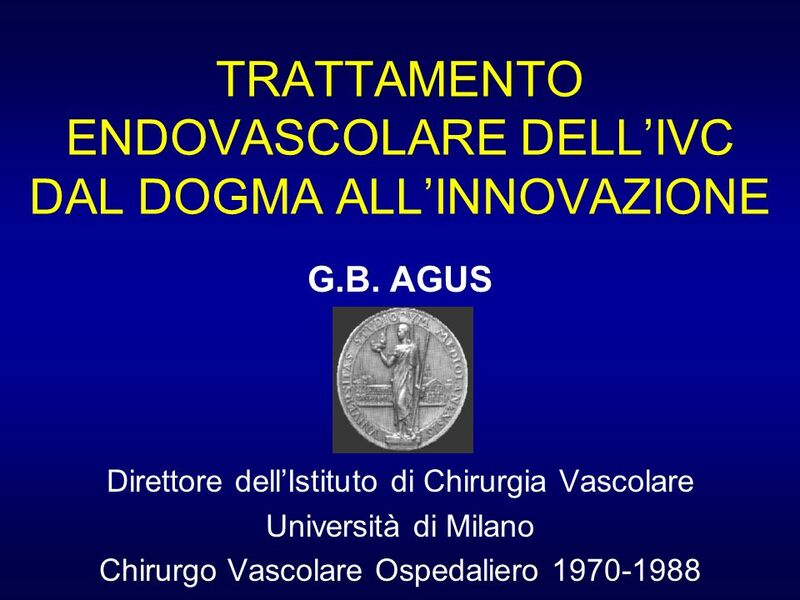 Scaricare ppt "TRATTAMENTO ENDOVASCOLARE DELL’IVC DAL DOGMA ALL’INNOVAZIONE"